With many of our old KFMB and B-100 FM radio team, together again for the 40th anniversary of B-100... 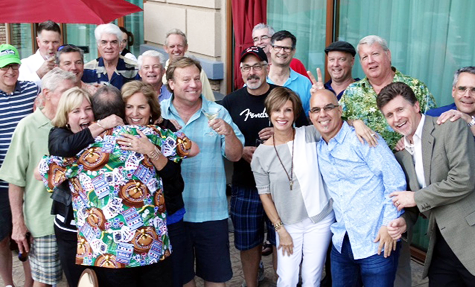 Celebrating (and trying not to fall over each other) at the March 27, 2015 reunion at Pala Resort. I was part of that awesome group for more than 18 years... Many successes that will never be duplicated.